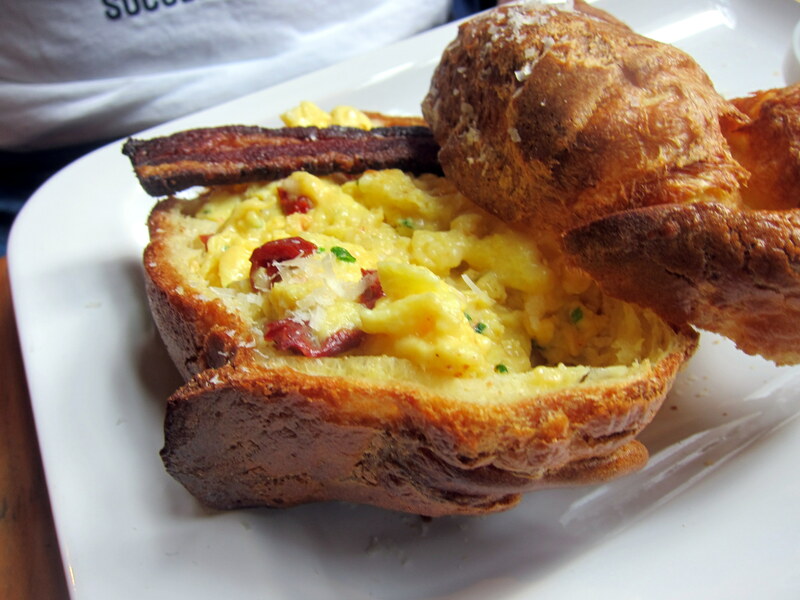 Price: $50 total per person for a brunch entrée and bottomless mimosas! 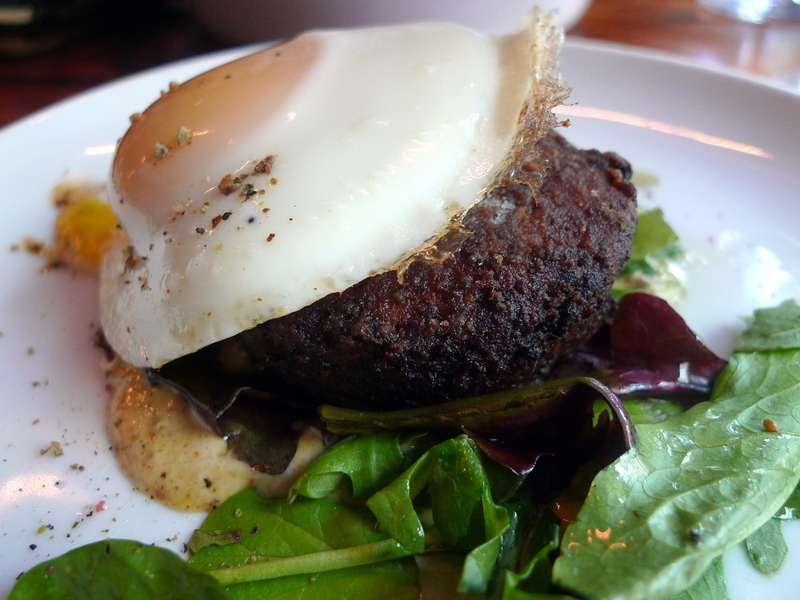 Natalya already wrote about the dinner scene at Marc Forgione back in April 2011, but we have been several times for brunch since then and I think this meal warrants its own post. 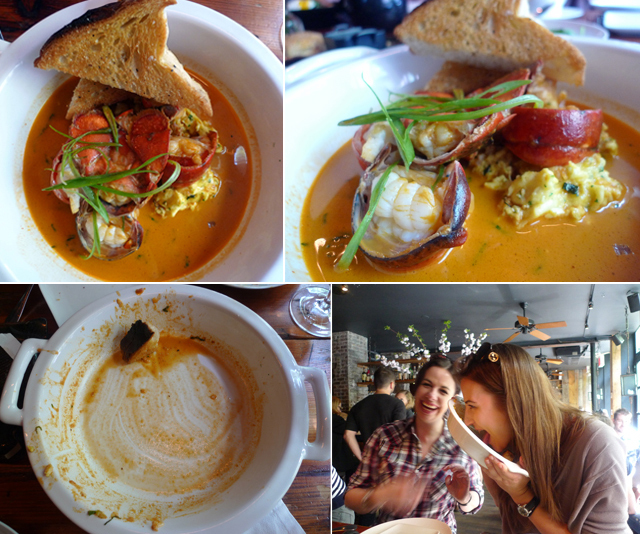 So for full coverage, see the main post; for brunch, keep reading! 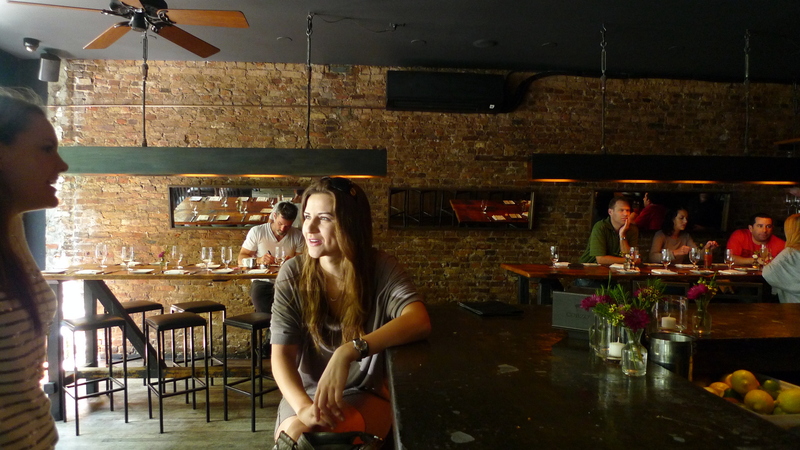 Marc Forgione aka Forge is Natalya’s and my favorite brunch spot in TriBeCa. 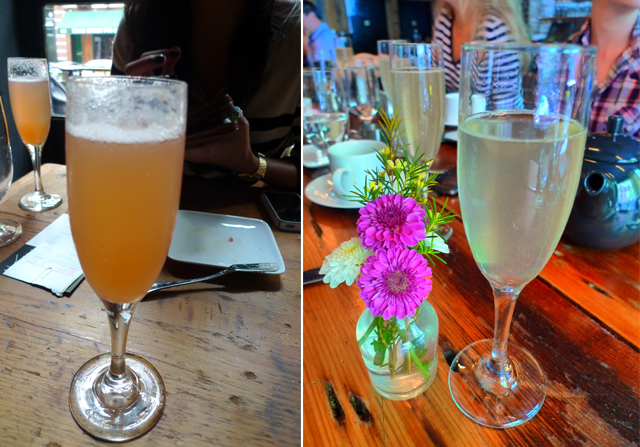 The food is brilliant, the bottomless mimosas for $16 are a bargain, and the ambiance and wait staff are lovely. 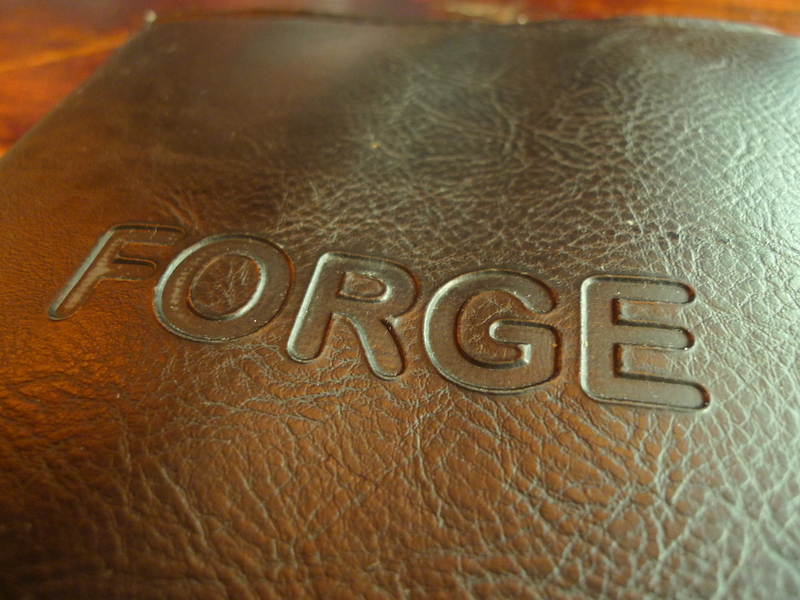 I am always amazed with the value Forge offers; I honestly have loved every dish I have tasted here and the affordable prices only further my affection. Reservations are highly recommended as the wait times can really stretch beyond your stomach’s patience; but if you can manage to arrive before 12:30pm, you can usually snag a seat at the communal dining tables. When the weather is nice, there are also a few tables out on the patio in front, for a little al fresco dining. 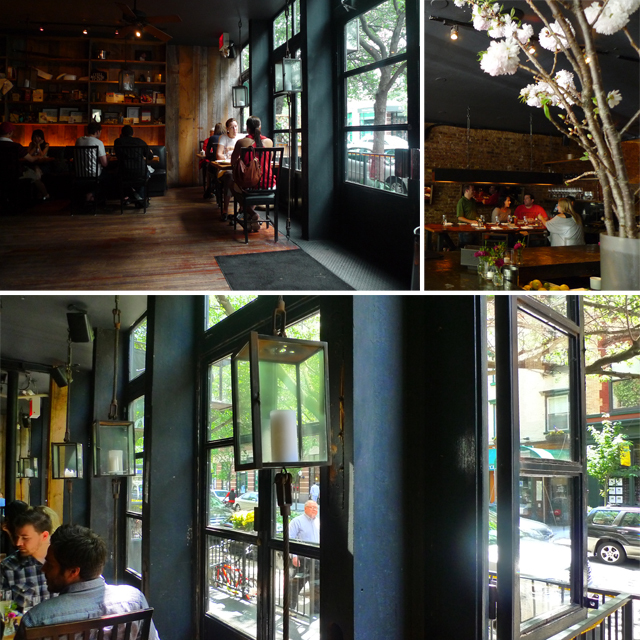 We adore this cozy neighborhood restaurant and we never find it difficult to convince our friends to come down to TriBeCa to dine here. 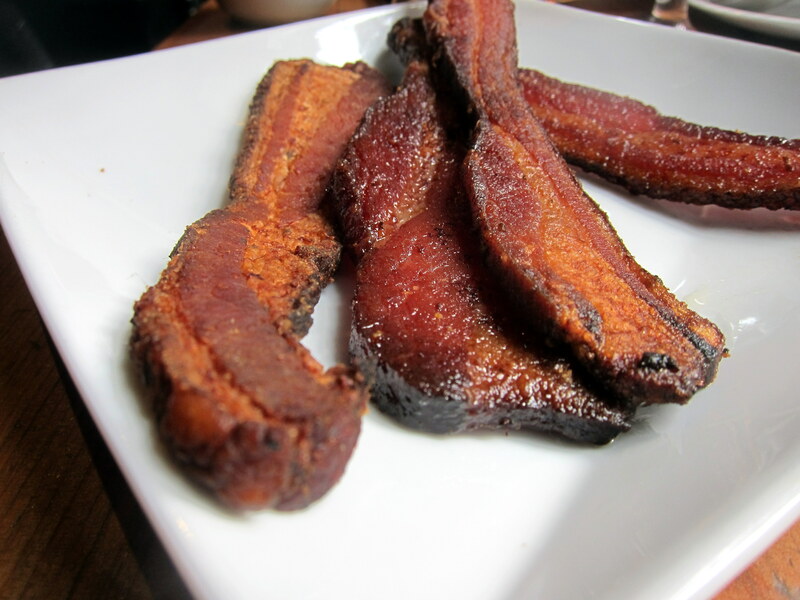 Forge is perfect for all occasions and all parties; a must try for anyone in NYC. 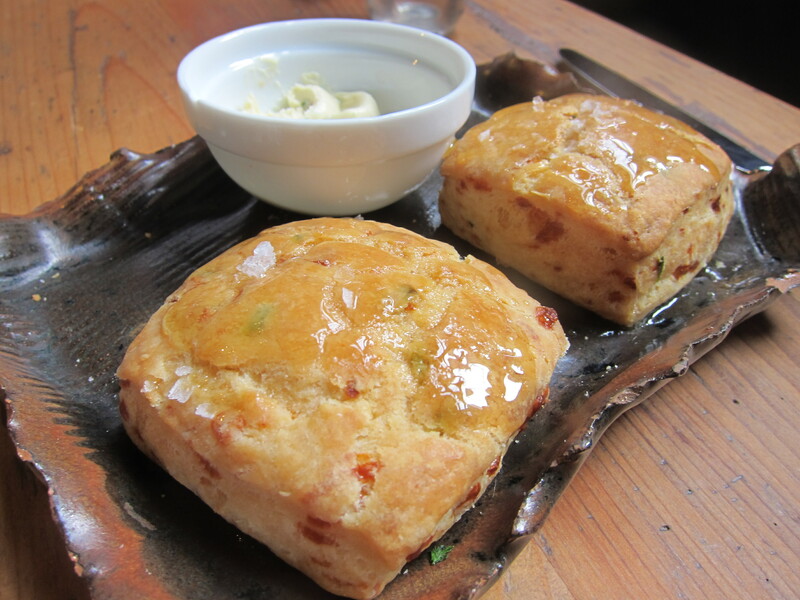 I always try to not to eat any of the table bread before a meal as I don’t want to get too full but it is far too difficult to resist Forge’s melt-in-your-mouth cheddar chive biscuits. Atkins who? One of my favorite eggs benedict dishes in the city! The crispy prosciutto really wins on this dish — it’s almost like candy; and the lemon hollandaise has beautiful, bright flavors. Sweet and savory all over! 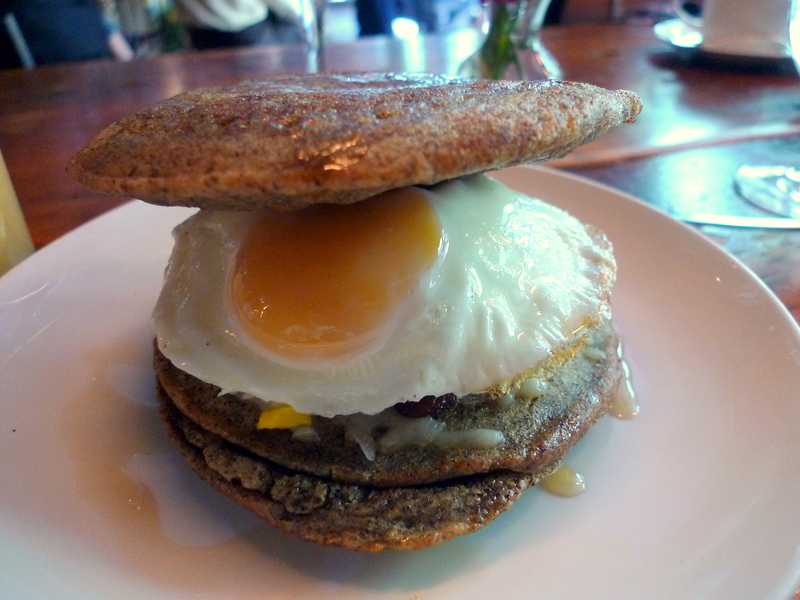 I know the restaurant doesn’t like the comparison but c’mon… The Sandwich is like a McGriddle. But a really decadent and gourmet McGriddle and that is a very important distinction. I love all the sandwich layers individually, especially the pork & fennel sausage; all together can be a bit overwhelming but my party still managed to take down two of these. This was described as “porkcake” which is pretty accurate. There’s all sorts of pig parts mixed together in “cake” form. Clearly a lot denser than a crabcake, but not as thick as a terrine. The seasoning was intriguing (was is cumin or coriander?) and I loved the smoked onion remoulade. Our server was raving about this special and how it would make you want to lick the plate clean. He said he could bring us more toast though so we could soak up all the Sriracha goodness, and we did just that… and then Natalya proceeded to lick the plate anyway. The sauce was that good. The succulent poached lobster didn’t hurt either. Nat claims this might be her new favorite brunch dish at the restaurant. 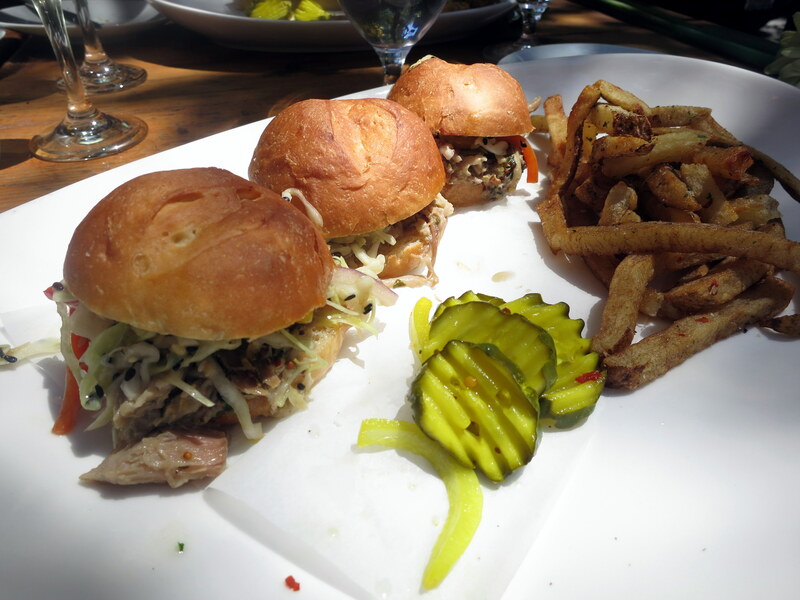 The pulled pork is so juicy and she is obsessed with pickles. Best.sausage.ever. 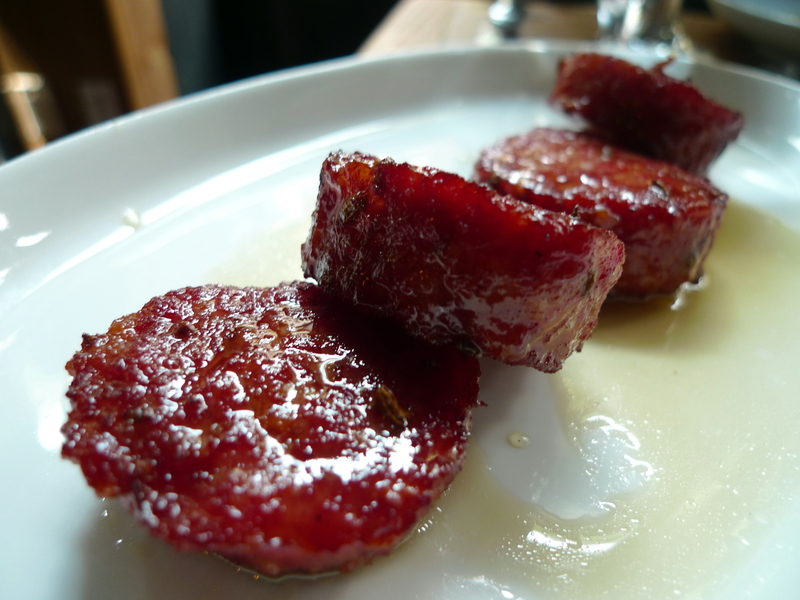 I love the fennel flavor and the sticky maple glaze is just heaven.